HENRY'S HARES- QUALITY HIMALAYAN RABBITS - ALL VARIETIES. ENGLISH SPOTS IN BLACK, CHOCOLATE, GOLD, GRAY AND TORT VARIETIES. TANS- ALL VARIETIES. 2005 & 2007 NATIONAL HIMALAYAN CONVENTION OPEN BEST IN SHOW. 2008- Youth BOS Himalayan and Youth BOB Thrianta- ARBA Convention. 2012- Open BOB and BOS English Spots- ARBA Convention. 2013- Open BOS Himalayan- ARBA Convention. 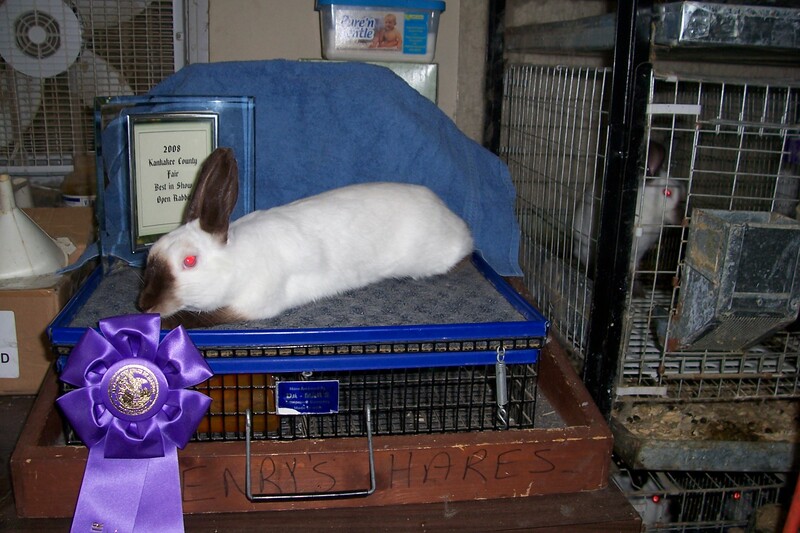 Located in Northeast Illinois on our family owned farm and rabbitry, we feature raising himalayan rabbits in all four varieties of black, blue, chocolate and lilac. 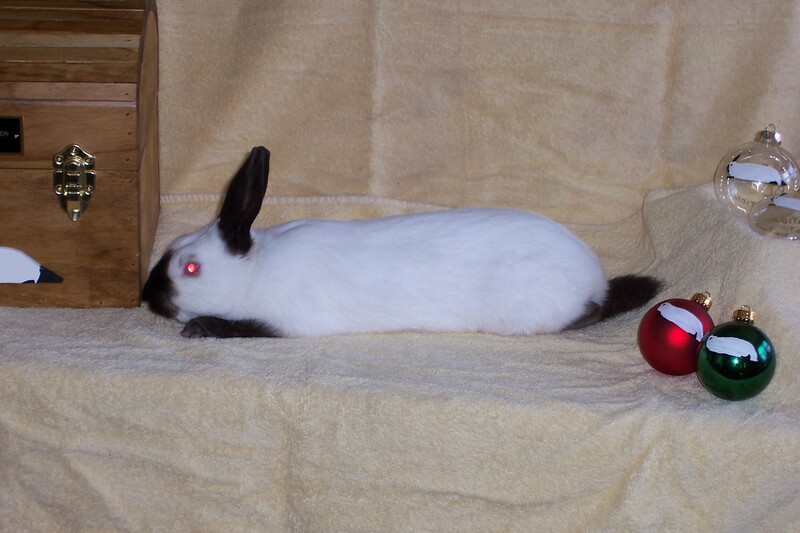 English Spots are our other breed in Black, Chocolate, Gold, Gray and Tort varieties. We recentlyy added Tans in Black, Blue, Chocolate and Lilac. We are home to the 2012 Open BOB and BOS ARBA Convention winning English Spots, 2013 Open BOS ARBA Convention Himalayan and 2008 ARBA Convention BOS youth himalayan winner that our son Corey bred and raised himself. We are also excited to be able to be the proud owners of the 2008 ARBA convention youth Group 1 winning himalayan that we were blessed to be able to acquire from the Magee family who bred and raised this award winning himmie known as "SNAP." 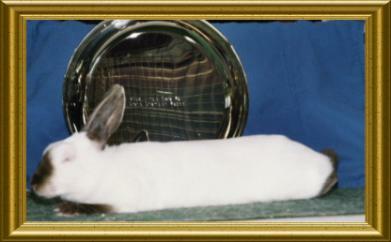 She is the proud mother of several of our Best in Show himalayans here at Henry's Hares. Himalayan rabbits are one of the oldest breeds of rabbits known to man and are recognized for their docile temperment which, makes them the perfect breed of rabbit for young children or those just starting out in raising rabbits. 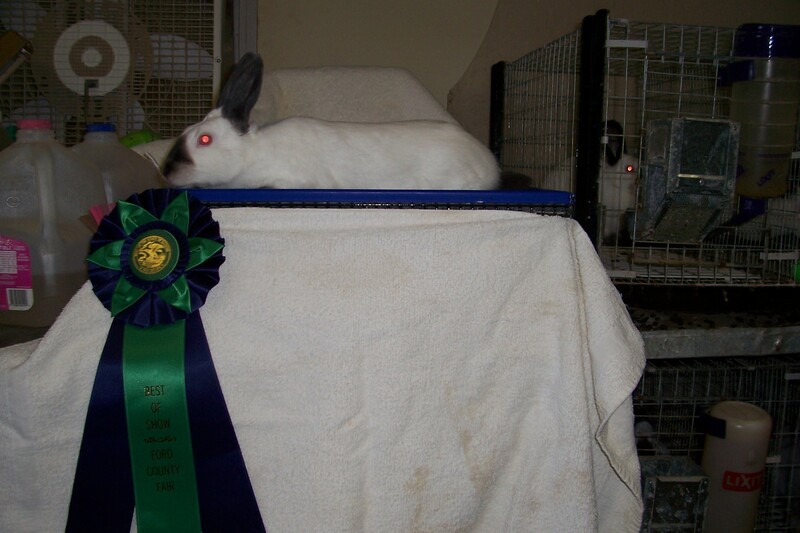 Also known as the "Majestic Beauty of the Ages" their cylindrical bodies and calm disposition makes them wonderful for the 4-H kids participating in the showmanship and judging areas of the 4-H rabbit projects. We live on a 10 acre farm where we have been raising rabbits for too many years to count. We have raised other breeds such as New Zealands, Californians, Thriantas, Dutch, Mini-rex, Polish, Silver Martens, American Sables, Standard Rex and a few others over the years but, have been raising the himalayans since 1999.. We loved them so much that we sold out of the other breeds to soley concentrate on the himalayans. In addition to our himalayans we added English spots n 2009 and Tans in 2016.